Hi, I’m Just Jaime from Wayward Girls’ Crafts. I get to blog with my 3 sisters and my mom, which is so much fun. I love scrapbooking, home décor, party planning, thrifting, and upcycling. Oh yeah, and I LOVE reading crafty blog and Pinterest. How I struggled to make a camera bag out of a purse. Total cost was $30 and I love the final product. 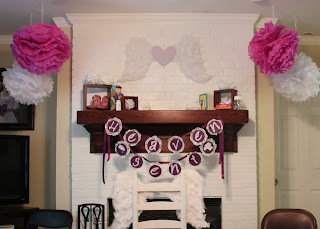 I had so much fun planning my sister’s baby shower with a “Heaven Sent” Theme. Click to see more details about the decor! 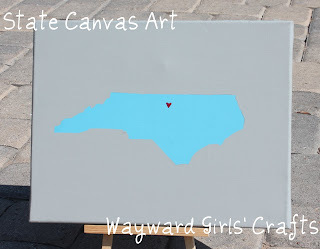 Finally, here’s my tutorial on how to make State Canvas Art. I promise it’s easy! Come on over to Wayward Girls’ Crafts and meet the rest of the Wayward Girls. You might find you’re a little wayward too!